Should You Seal Your Attic? Synergy Building Company has built quite a few sealed crawlspaces. Generally, whenever we are building a new home, or putting on a new addition, we strongly recommend that the crawlspace be sealed and semi-conditioned space. This is also the case with sealing attic spaces. The advantage of keeping HVAC equipment and ducts in a semi-conditioned space makes sense for a lot of reasons. Now, we are finding more interest in sealing existing crawlspaces and attics, as part of an attempt to establish more energy efficient homes. Advanced Energy, in Raleigh, is a great resource for learning about the comparative advantages of various energy efficient techniques in residential construction. Here is an interesting article on sealing attics for those who are considering this upgrade to their home. 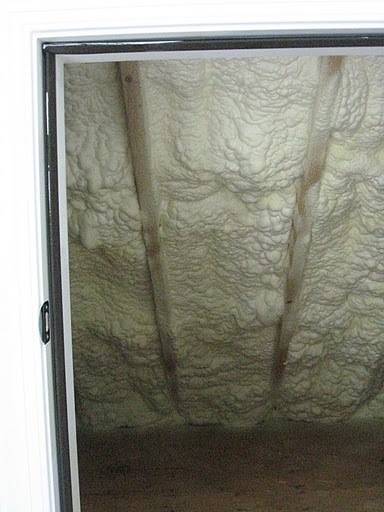 Here is a picture of what sprayfoam insulation looks like in a recent Synergy project. In the U.S. we use nearly 40 percent of our nation’s energy to power our buildings —this includes lighting, heating and cooling, appliances and electronics. 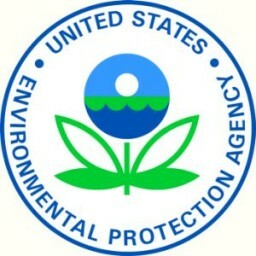 Accordingly, our buildings accounted for 35 percent of the nation’s total manmade greenhouse gas (GHG) emissions in 2008.Residential and nonresidential buildings also use approximately 13 percent of all potable water and 40 percent of the non-food/fuel raw materials use. By one estimate, the landscape of our buildings will be altered 75 percent by the year 2035 through the typical pace of change: from new development, complete demolition and redevelopment to the major renovation of existing buildings. The report provides some interesting definitions of “Green Building", for both commercial and residential projects, and provides a road map of numerous steps, that if used in our construction projects going forward, could make a substantial improvement in our environment. You can take a look at the entire report here.